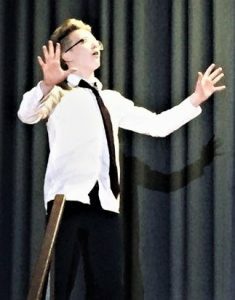 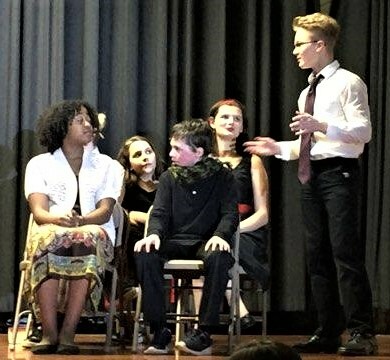 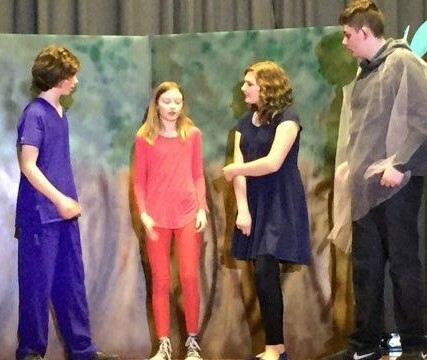 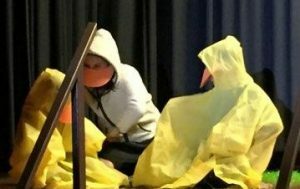 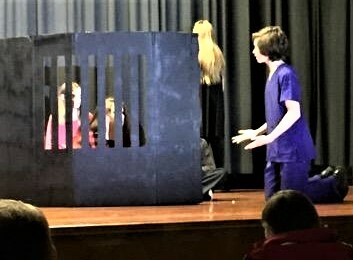 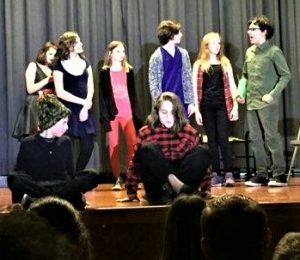 Students from Mr. McCarthy’s “Sudlow Intermediate Players” and the theatre club at the Creative Arts Academy of the Quad Cities delighted an attentive audience in the auditorium of Washington Elementary School for two performances. 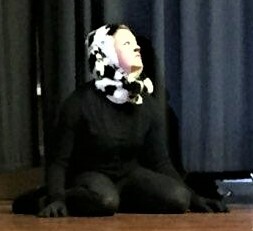 The play was written and performed by the students in the 6th, 7th, and 8th grade, directed by Chaise Lawson, Mr. McCarthy, and Lily Shaw. 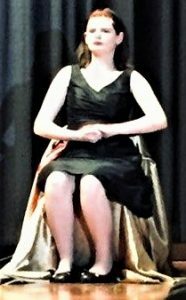 The stage was managed by Naomi Powers and Brenna Swanson. 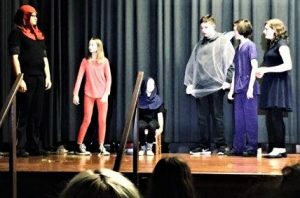 Mr. McCarthy’s following sixth grade CAA theatre class collaborated on writing the play: Sebastian Arreola, CC Barnett, Kenzie Besgrove, Laney Chandler, Shaylynn Flesch, Claire Gillespie, Elli gooch, Reuben Leveridge, Ellianna Liljequist, Avilyn Moulton, Aidan Sammon, Kaylie Serres, and Macie Wilkins. 7th grade: Bella Kuta, Veronia Macias, Matthew Lorentzen, Kaylee Peters, Abigail Davidson, Gage McCalester, Chuy Gomez, and Ayanna Miles. 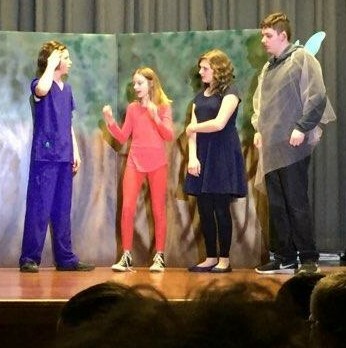 8th grade: Emily Gisel, Soli Augspruger, Riley J. Miller, and Saralle Fredenburg.